In Dr. Carl Rasmusen’s post today on his WordPress blog (click here) he recommends some videos posted on YouTube by William Schlegel, which are based on Schlegel’s book, Satellite Bible Atlas. The videos are very helpful as they walk you through the land of Israel beginning with an overview, and then section by section. Here is the link to video #1. A search for 01 Satellite Bible Atlas will also get you started. There are seven videos in all. Todd Bolen did a review of the book this past January here. Both the book and the videos are valuable resources for anyone getting acquainted with the Bible lands, for the more experienced student to review, and learn more! 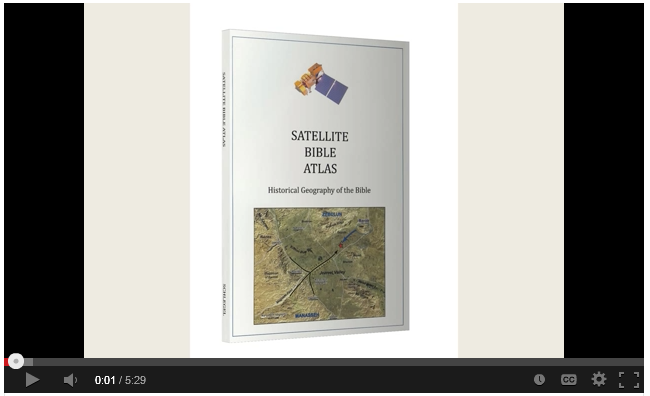 Video Satellite Bible Atlas. By Bill Schlegel. This entry was posted on Thursday, October 3rd, 2013 at 4:30 PM and is filed under Uncategorized. You can follow any responses to this entry through the RSS 2.0 feed. You can leave a response, or trackback from your own site.